The hosts, to the most pleasant of surprises, got better and better with each match played. This meant that their self-belief was through the roof by the time they reached the final, against Namibia. 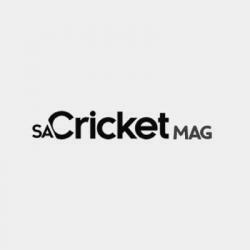 That belief propelled them to a stunning three-wicket victory, which was inspired by an excellent all-round effort by James Moses, who took wickets, made runs, and effected a run-out. Karabo Motlanka was exceptional as skipper, with decisive runs all week. For a Namibian side that is currently building for the future, with several youngsters handed a chance, the consolation was that they have qualified for the Africa Finals next year. Lo-Handre Louwrens and Jan Frylinck enjoyed fine tournaments with the bat, and they will be better for the experience. Across the rest of the teams, little St Helena were the dynamite package of the competition. They started the competition with a blast, scoring runs and being very organised in the field. They did run out of steam in the latter stages, but their outing was well worth it. Plucky Mozambique came and saw, and they nearly conquered some big mountains. They were indebted to a very talented young attack, with Felipe Cossa excelling with bat and ball. They are another young side that will get better and better with more exposure. Malawi and Lesotho served up the game of the week to sign off their respective tournaments, with Malawi holding their nerve in the end. Sami Sohail’s bat was a source of calm and composure, and skipper Mohamed Abdulla had presence, with his 6-12 against Swaziland a big highlight. For Lesotho, Chachole Tlali was a mainstay opening the batting with several good foundations. His half-century against Malawi almost stole victory for the kingdom. Mthimkulu Leporoporo led the way with the ball, and skipper Sameer Patel had a sound tournament with the bat. Swaziland found the going tough during the week, but tournaments like these are the only way to improve players and teams alike. 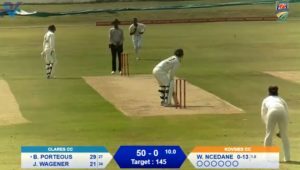 They did end their week on a considerable high, however, with an excellent chase of 146 against Mozambique, with Hansrod (43) and Patel (78 not out) leading the charge to a morale-boosting victory. Over the course of the week, all seven nations competing had reason to cheer, and that bodes well for the ever increasing depth of competition across the continent.